"What Do You Know About the Rabbit in the Moon?" 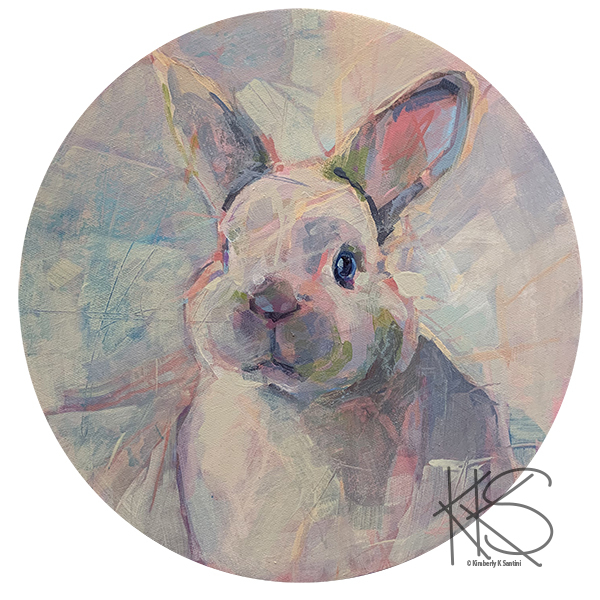 12" in diameter, acrylics on circular gallery wrapped canvas, $499 plus s&h to the first asking nicely. I accept paypal, venmo, personal checks and payment plans. Inquiries may come to me. I found some circular canvases, and am excited to work on them. The circular shape poses an interesting challenge compositionally - angles and corners seem sharper than their organic counterparts. I am enjoying working in this format.